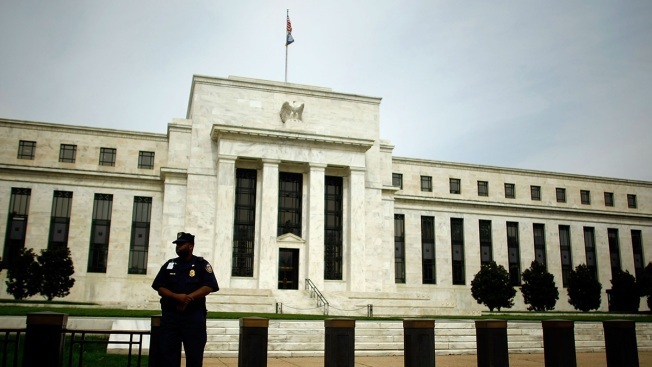 The Federal Reserve on Sept. 16, 2008 in Washington, D.C.
U.S. banks passed the first round of stress tests issued by the Federal Reserve to determine whether the banks could survive potential recessions, according to CNBC. The results released Thursday showed that all 34 of the largest banks in the U.S. could keep lending to households and businesses in the event of two severe economic scenarios. The tests are part of the Dodd-Frank reforms put in place after the recession to protect against another crisis. The measures signal economic health but are only the first in a two-step process.